Using analytics, Material Inspect gathers information across a population of similar construction materials, allowing the material inspector to conduct an efficient inspection. Predictive health analytics relative to construction projects are used to anticipate impact on schedule and costs. The app provides material visual recognition via camera and evidence gathering. Inspectors can use the pencil for red-lining of deviations from material specifications. They can also visualize an augmented reality to verify compliance with specifications. With Touch ID, inspectors can log in with reliable user identification – insuring enhanced security. 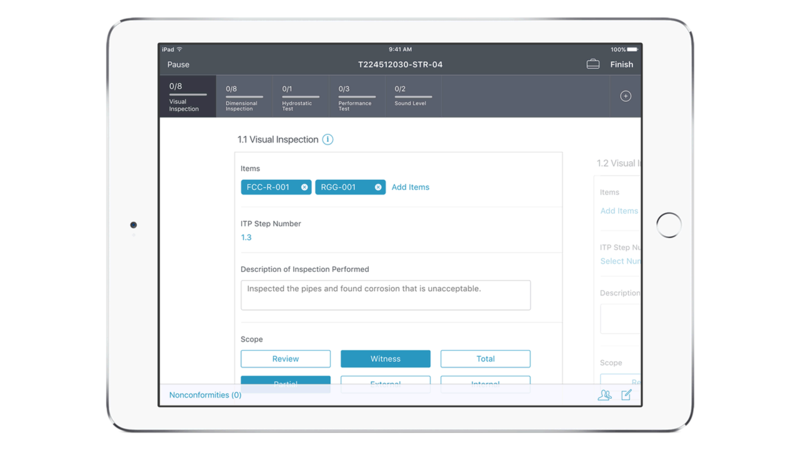 Material Inspect provides inspectors with all the required documentation and access to real-time information. It enables inspectors to prepare, inspect the site and capture data and visual evidence to complete reports in shorter time.